The Registered Professional Foresters Association of Nova Scotia (RPFANS) was formed by the passage of Bill 11 on November 23, 1999 by the Legislature of Nova Scotia, and was proclaimed into law on February 1, 2001.The Bill provides for the exclusive use of the title "Registered Professional Forester", or the abbreviation "RPF" by members of the Association; and for the Association to discipline it's members who do not comply with the code of ethics and practice forestry within their scope of competence. The public has assurance that those persons who are using either title are capable of providing sound advice on the management of the full range of values that may be found in their woodland. 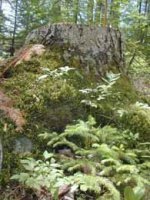 The Registered Professional Foresters Association of Nova Scotia (RPFANS) is a non-profit association for professional foresters who are dedicated to professional conduct and continued forestry education to improve the holistic management of the forest resources in the Province of Nova Scotia. Membership is not restricted to only those who have graduated from a Bachelor of Science Forestry Program, however, all members must demonstrate that they have obtained the equivalent qualifications (see membership application). This will ensure both theoretical and practical training in all subjects, which should be considered when providing forestry management services. More information on the requirements can be found on the Certification Standard pages of the Canadian Federation of Professional Foresters Associations web site. The content requirements have been developed by the Canadian Federation of Professional Foresters Associations. This information has been adapted by the Canadian Forestry Accreditation Board, in order to review the material being taught in Canadian forestry university programs, on behalf of the professional forestry associations in Canada. Ensure that members continue to further their level of education and understanding of all matters relating to the forest and it's dynamics, throughout their careers.